The Sur dynasty was an Afghan family, which ruled in the north of India between 1540 and 1555/1556. The dynasty was founded by the conqueror Sher Shah Suri, after his defeat of Mughal padhsah-i-Hind (emperor) Humayun in battle of Chausa (1539). Their rule came to and end by a defeat leading to the restoration of the Mughal dynsty. Sher Shah Suri (1472 � 1545) also known as Sher Khan and as The Lion King, was founder of the Sur Dynasty of northern Indian rulers. He was born into a Muslim Afghan family in Multan today part of Punjab in 1472. Sher Shah Suri was descended from an Afghan adventurer recruited by Sultan Bahlul Lodhi during his long contest with the Sharqi Sultans of Jaunpur. Sher Shah Suri's given name was Farid. His father was the jagirdar of Sasaram, Bihar. Ill-treated by his stepmother, he left home at the age of 22 and went to Jaunpur, where he set himself to serious study and there he acquired good command over the Arabic and Persian languages. In 1531, Sher Khan asserted his independence from Humayun, Babur's successor. The unexpected rise of Sher Khan made the Lohani Afghans and Jalal Khan impatient. They even entered into an alliance with Muhamud Shah, the king of Bengal. Sher Khan defeated the Bengal king on the Kiul River in 1534. Later, he invaded Bengal and Muhamud Shah handed over him a large sum and territory to make amends. He then became the independent ruler of Bihar and Bengal. In October 1537, Sher Khan again invaded Bengal and besieged the city of Gaur. Humayun realising the strength of the Afghan, marched to oppose Sher Khan in December 1537, and besieged Chunar. However, the army of Sher Khan baffled all the attempts of the assailants for six months, which gave enough time to Sher Khan for reduction of Gaur, which was achieved by April 1538. In 1539, when Humayun marched towards Bengal, Sher Khan cleverly went and occupied the Mughal territories in Bihar and Jaunpur. In 1539, Sher Khan was able to defeat Humayun in the Battle of Chausa. Again in 1540, he defeated Humayun in the Battle of Kannauj, and went on to capture Delhi and Agra at the age of 68. Sher Khan built the Rohtas Fort in 1541-43 to crush the Gakhars, who were loyal to Humayun, to whom the fort was finally surrendered by a treacherous commander 10 years after Sher Khan's death. Islam Shah Suri was the second ruler of Sur dynasty. Islam Shah Suri's real name was Jalal Khan and he was son of Sher Shah Suri. Islam Shah Suri ruled for seven years (1545�53). Islam Shah Suri's twelve year old son Firuz Shah Suri succeeded him, but within days was assassinated by Sher Shah's nephew Muhammad Mubariz Khan who ruled as Muhammad Shah Adil. Firuz Shah Suri was the third ruler of Sur dynasty. He was son of Islam Shah Suri and succeeded him in 1553 when he was twelve years old. Firuz Shah Suri was assassinated within days of his coronation by Sher Shah Suri's nephew Muhammad Mubariz Khan who later ruled as Muhammad Shah Adil. Muhammad Shah Adil was the fourth ruler of the Sur dynasty. Muhammad Shah Adil's real name was Muhammad Mubariz Khan and he was nephew of Sher Shah Suri. In 1553, he assassinated Firuz Shah Suri, the twelve year old grandson of Sher Shah Suri, and succeeded him as ruler of the Sur dynasty. He was succeeded by Ibrahim Shah Suri in 1555. Ibrahim Shah Suri was the fifth ruler of Sur dynasty. He was succeeded by Ahmad Khan who ruled under the title Sikandar Shah Suri in 1555. Sikandar Shah Suri was the sixth ruler of Sur dynasty. Sikandar Shah Suri's real name was Ahmad Khan. In 1555, he was defeated by Humayun and Mughal dynasty was restored. After the defeat he fled to Siwalik Mountains in northern Punjab. Sikandar Shah Suri and his brother Adil Shah Suri fought against Akbar and were defeated. 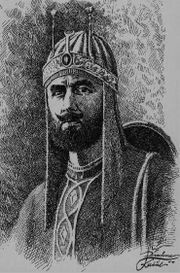 Adil Shah Suri was seventh and final ruler of Sur dynasty. He was the brother of Sikandar Shah Suri and ruled over a region east of Delhi after Sikandar Shah Suri was defeated by Humayun in 1555. He and his Sikandar Shah Suri were contenders for the Delhi throne against the Mughal emperor Akbar. Early in Adil Shah's reign, he fought back a challenge from Muhammad Shah, ruler of Bengal. At the battle of Chhapparghatta in December 1555, Adil Shah and his low-caste Hindu general Hemu routed the Bengal forces and the Muhammad Shah was killed. The following year, following the child-Emperor Akbar's absence from Delhi on a campaign, Hemu launched a surprise attack on the unprepared regent Tardi Beg Khan, who was defeated and fled the city. This was Hemu's 22nd successive victory in battle and he appointed himself ruler, or Raja Vikramjit, instead of Adil Shah. On November 5, 1556 Akbar's Mughal army, under the stewardship of Bairam Khan, defeated the numerically superior forces of Hemu at the Second Battle of Panipat, fifty miles north of Delhi, thanks to a chance arrow into Hemu's eye. Hemu was brought before Akbar unconscious, and was beheaded. Meanwhile, the Bengal throne had passed on to Ghiyasuddin Abul Muzaffar Bahadur Shah, son of the slain Muhammad Shah. After killing an ambitious uncle, Bahadur Shah marched against Adil Shah to avenge his father's murder. In the battle of Fathpur in Munghyr in April 1557 AD Adil Shah's army was routed and Adil himself was captured and killed.